The death knell of internet radio may have struck a dull note last week, when SoundExchange offered smaller and non-commercial internet stations fee caps and possible individual, fair negotiations with broadcasters. However, the Radio and Internet Newsletter reports that the Digital Media Association (DiMA) rejected the offer, after SoundExchange offered a last-minute reveal that part of its offer involved the forced implementation of DRM technologies on their online streams. This comes after their recent effort to hype a little-used form of music piracy called “stream ripping,” which entails people recording streamed tracks into hard copies on their computer. I was reminded to check on this when a teen approached my desk and asked if I had heard about “a new site called Pandora” (those of you who saw or heard about our presentation at ALA Annual might get a chuckle out of that one). Our ensuing conversation reminded me that teens are actually using these technologies to discover music along the long tail, and that the demise of such services would be an unfortunate setback for teens looking to connect to new bands and artists through the ones they know and love. I have a feeling, though, that teens are hardly batting an eye as the music industry continues to sag under the weight of its own misguided profiteering. Services like Pandora make me think: are there any reading resources that allow links based on the writing style instead of content? For example, where could I go to be linked between–for example–the tersely poetic prose of Joyce Carol Oates’s After the Wreck, I Picked Myself Up, Spread My Wings, and Flew Away, Laura Kasischke’s Boy Heaven, and Matt de la Peña’s Ball Don’t Lie? How many of you use these sort of services to listen to bands and artists related to what your teens are listening to? Or for collection development purposes? It’s not just the music itself that would be lost but the massive amount of listener-generated metadata. For that matter, why do CDs cost as much as they do? Here’s a “read it and weep” link, if I ever saw one. Check out Mashable’s recent Online Music Toolbox, a list of over 90+ online music-related services that provide everything from radio and social networking to music-creation. Make sure you pay attention to where the content comes from, as not all of these sites are copyright-safe. Otherwise, enjoy! Kudos to Stephanie Iser for the link. 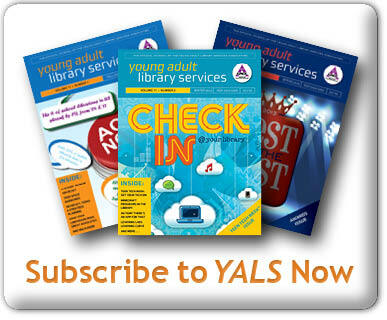 This is the inaugural post of the YALSA Weekly Update. 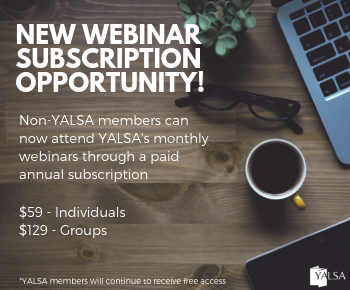 Every Tuesday, check back to the YALSA Blog for a rundown of news and updates from the YALSA Office. WrestleMania Registration Ends July 31! If you haven’t already, by all means, register for the 2008 WrestleMania Reading Challenge. A summary of the rules, along with other important information, has been posted on the WrestleMania page on the Teen Read Week Web site. Readers are required to read 10 books, novels, or magazines. There’s no restriction on how many need to be chapter books this time around. Want to learn more? Visit the WrestleMania Reading Challenge page! YALSA’s Next Board Meeting YALSA’s Board of Directors will hold its post-conference meeting via conference call on August 8, 2007, from 1–3:30 EDT. Please contact the YALSA office at yalsa@ala.org with any questions or concerns you may wish to share with the board. Were You at Annual 2008? Fill Out Our Survey! For those of you who came to Annual 2008 in Washington, D.C. (and it was a record turnout), we’d like you to take a short, five-minute survey about your experiences. 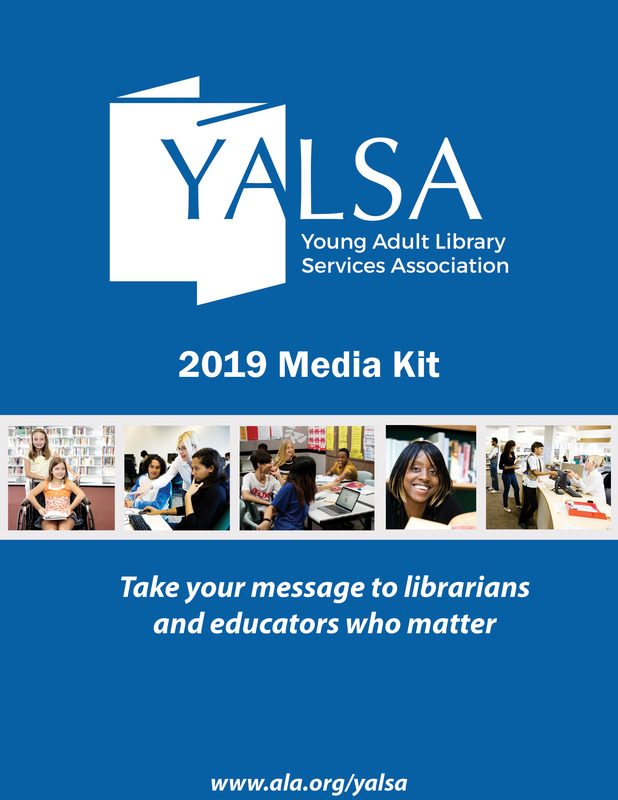 Your feedback will help YALSA plan for future conferences and ensure that YALSA offers the high-quality programming and special events that you have come to expect and enjoy. YALSA Offers Harry Potter Read-alikes and Resources Hey, did you know the final Harry Potter book comes out this week? (Four more days, according to my desk calendar!) Much has been made over whether teens will keep reading voraciously after Harry encounters the Deathly Hallows (our president, Paula Brehm-Heeger, ably discussed this topic on WBUR’s Here and Now program last week), so to help librarians keep teens’ attention after they reach page 784, YALSA offers read-alikes and resources. That’s it for this week’s update! Questions? Comments? Email me at skuenn@ala.org. By Linda W Braun July 17, 2007 July 17, 2007 YALSA Info. It seems to have started with Gmail. That’s when Google did a soft launch of their email system. Only those who had an invitation to use the system could test it out. Everyone wanted an invite. People were selling them on eBay. It was a bit of an Internet frenzy. There was a cachet in having an invite to Gmail, and to being able to hand-out invites to a small number of others. Google was brilliant in getting this viral approach to marketing and services going. Now, many web-based products start out with an invitation only beta testing phase. People hunt down invitations to the products they are most interested in testing out and there’s even a web site, InviteShare, that will help you find invite only sites and help you to get invites from them. All of the invite machinations I went through got me thinking about how libraries might use this invite culture phenomenon in their own programs and services. What if librarians were to give out a few invites to (fill in the blank with your idea here) and each of the teens who had the original invites had 5 or so to give out and then the next set of teens had 5 or so invites to give out and so on and so on. Would we be able to create excitement in which teens were hunting around for invites for a particular library program or service? Is marketing via the invite culture something those who serve teens should pay attention to? I think so, what do you think? Where Do You Read Your YALS? 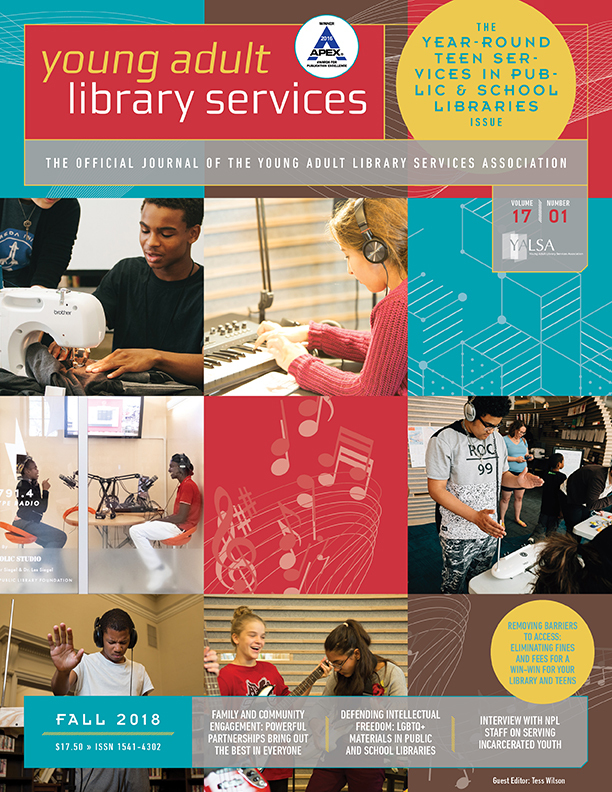 The summer issue of Young Adult Library Services, the YALSA journal, mailed this week, just in time for you to take YALS out on the town with you. In honor of YALS’ fifth anniversary, we want to include photos of you reading your YALS, wherever that may be! Send your photos, along with your contact information and title, to yalsa@ala.org by August 20. We’ll publish the best in the fall issue. Questions? Contact Stevie Kuenn at skuenn@ala.org or Valerie Ott (vott724@yahoo.com). Social Technographics – What’s That? Teens were included in the data collection for this report and there are some interesting findings that compare the use of social media by adults to that of teens. For example, 51% of 12 to 17 year olds consider themselves joiners (use social networking sites) whereas only 15% of 41 to 50 year olds describe themselves in the same way. It’s interesting to note that participation in social media seems to drop at age 40. At that point survey participants start to demonstrate that they are more spectators (read, watch, or listen) of social media, or totally inactive when it comes to social media. What does this mean for the work we do with teens? First, this report provides an interesting perspective on how teens are using social media. For example, teens are creators more than they are critics. Does that mean that in our work with teens we need to provide them with opportunities to create new content rather than review previously developed content? Do we need to provide more opportunities to create books, art, movies, games, etc. rather than review those same forms and formats? Teens also are big spectators, which means they like to read blogs, listen to podcasts, and watch videos (perhaps all created by their peers.) That of course correlates to the above finding and questions. If we give teens the opportunity to create doesn’t that mean that they and their friends will want to check out those creations? If we provide venues for that checking out – podcasts, wikis, blogs, web sites, video streaming, etc. – then we become the hub for creators and spectators. Also, what does this data tell us about the parents of the teens that we serve? Doesn’t it look like we are on a cusp of change in that area as well? The parents of younger teens are more likely to be active users of social media than the parents of older teens. Does that suggest that the parents of younger teens will be more savvy about technology in general? Doesn’t that change how we relate to, connect with, and what we expect from parents of teens? There’s a lot to process and analyze in this report. While the report document is not available for free, a PowerPoint presentation, that was a part of a webinar which highlighted the report’s findings, is available for free on the web. Check it out. Talk with your teens about the findings. What would they say about the findings and where they fall on the ladder? 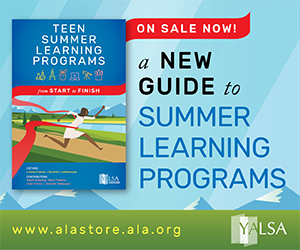 YALSA’s 50th Anniversary Taskforce needs your help in compiling its “Librarians’ Choice: 100 Super Summer Reads for Teens” list. If you know of a great summer read, please add it to the list we’ve just started on the YALSA wiki. You can access and add to the list from the Summer Reading page on YALSA’s wiki. After completing a school year of assignments and required reading, these titles are meant to offer some lighter leisure reading. Thanks for helping us celebrate 50 years of YALSA! By Joseph Wilk July 12, 2007 July 12, 2007 YALSA Info. The other day, my boss asked if I knew any local teen bands, singers, or hip-hop artists. If you had the same response as me, then you might not know about OverDrive’s Community Reserve service. Overdrive-subscribed libraries can upload teens’ full albums, rough demos, or bedroom recordings. They’ll be available to not only your users, but also those of all other libraries who subscribe to Overdrive. That doesn’t just go for music, either. If local teens publish an eBook or audiobook–or if they produce their own videos–that digital content can be uploaded as well. The major downside is, of course, that since there is no additional cost to the library to add this content, the content providers aren’t getting paid. Also–for audio and video at least–Overdrive is still locked into using Windows Media (.wma & .wmv) files, which aren’t compatible with teens’ iPods (yet, gosh darnit). But, despite all the setbacks, if teens are looking for new ways to distribute their content, this can be an opportunity for them to do just that. Whether they’ll be interested considering what they can already do with iTunes, iMeem, Myspace, Last.FM, iLike, Purevolume, GarageBand and other promotional services remains to be seen. If you are already utilizing this service, I’m really interested to see how it’s going. The Library doesn’t exist in a vacuum, when you are at a movie, the grocery store, or in the community, the public will see you as a representative of the library. You can make meaningful connections if you are aware of this. Library veterans or new grads, what are the things you wished you’d known?